Location, Location, Location! Established, mature neighborhood with easy access to Charlotte, restaurants, and shopping. New roof 2018. Large, fenced yard. Main level features large living room, dining room and kitchen. 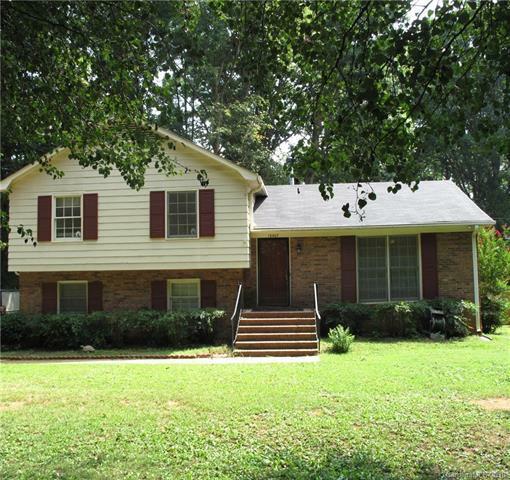 All 3 bedrooms and 2 full baths on the upper level. Lower level boasts den/family room, playroom, half bath AND office/flex room. Very flexible floor plan. AS IS sale. Fully livable, but cosmetic updates needed - reflected in price. Seller will make no repairs. Central A/C unit needs to be replaced.